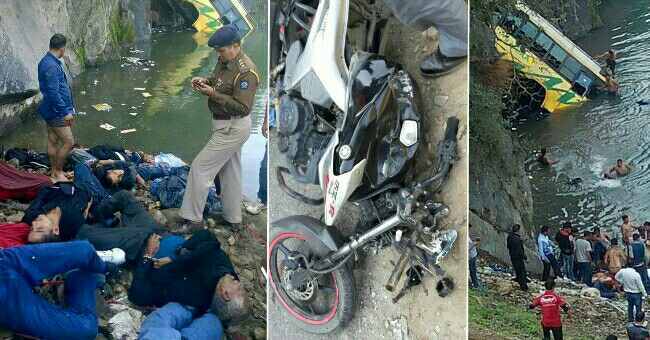 16 dead & over 19 critical after a bus falls into a gorge near Kulli Road at Vrindawani under Mandi district of Himachal Pradesh. Bus name is Kanika Bus. Death toll to rise.